"We are pleased to help Willow Bend bring the benefits of HECM products, especially the HECM for purchase, to new borrowers in Texas and surrounding states," said Wendy Peel, vice president of sales and marketing for ReverseVision. 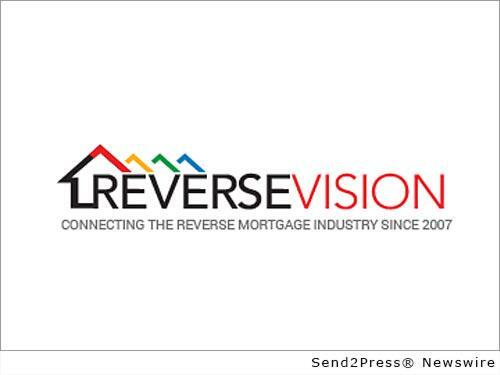 SAN DIEGO, Calif., April 20, 2016 (SEND2PRESS NEWSWIRE) — ReverseVision announced today that Willow Bend Mortgage (Willow Bend), an independent mortgage lender serving the South Central United States, has selected RV Exchange (RVX) as its reverse mortgage loan origination software (LOS). A long-standing community lender in its home state of Texas, Willow Bend began expanding its reverse mortgage program in 2015 and is currently licensed to operate in 12 states. Financial Assessment refers to a series of FHA-administered changes to the underwriting criteria for Home Equity Conversion Mortgage (HECM) loans, commonly called reverse mortgages. The Financial Assessment rules make the HECM an even safer loan product for consumers by requiring lenders to evaluate borrowers’ credit history, income and debt to determine if they are capable of meeting the obligations of a loan. First announced in 2013, Financial Assessment went into effect in April 2015. “Now that we’re through the first year of Financial Assessment, we’re focused on growing our team and our HECM for Purchase business,” said Hicks, who began his career in the reverse mortgage business as a consultant with such large depository institutions as MetLife and Wells Fargo. Both banks have since exited the reverse mortgage space. Prior to joining Willow Bend, Hicks served as sales manager at 1st Reverse Mortgage USA. “Texas was the last state to get the HECM for Purchase,” noted Hicks, “so our main focus is to get out there and educate REALTORS, builders and senior borrowers.” Texas voters approved a constitutional amendment to allow HECM for Purchase financial transactions in November 2013. HECM for Purchase is a product that allows homeowners to take out a reverse mortgage and buy a new residence all within a single transaction. “It’s my hope that HECM for Purchase will one day represent 50% of Willow Bend’s overall business,” Hicks added. Willow Bend Mortgage was founded in 1993 as a small brokerage shop built on servant leadership principles. Today, Willow Bend is a full-scale mortgage banking operation with offices in Texas and Alabama. Headquartered in Plano, Texas, Willow Bend generates more than $500 million in single-family “traditional” and reverse mortgages each year. Willow Bend loan officers take pride in putting their clients’ interests first. With a superior product mix, expert loan officers and an operations staff that is second to none, Willow Bend helps borrowers navigate today’s highly regulated mortgage environment. For more information, visit http://www.wbm.com/. Original Keywords: ReverseVision SAN DIEGO California SAN DIEGO, Calif.
REFERENCES: Banking News, ReverseVision SAN DIEGO California SAN DIEGO, Calif.